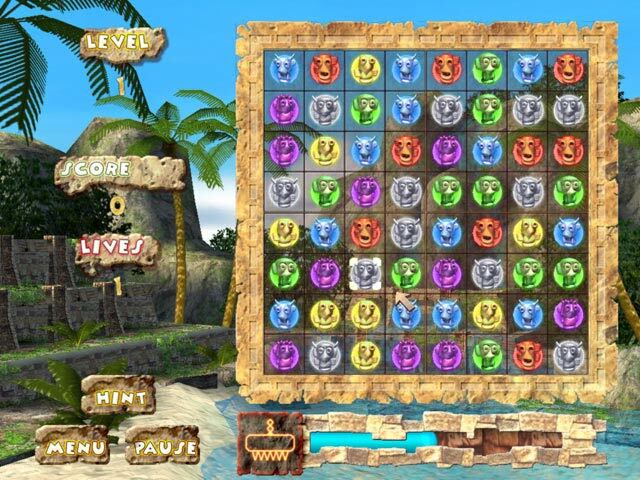 Make your way down the mighty Amazon River to embark on the ultimate puzzle quest! 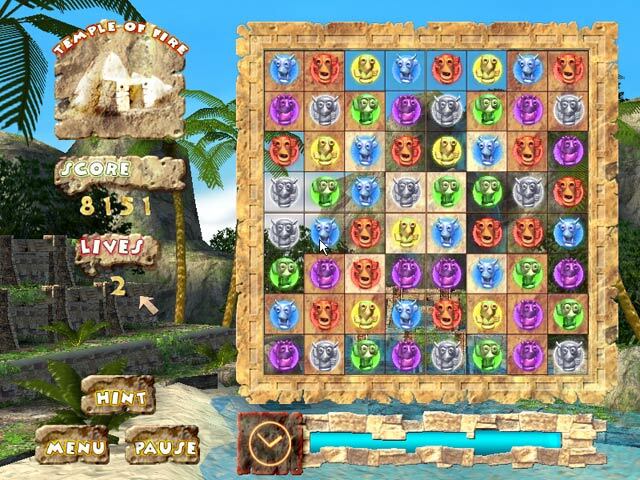 In this unique new take on the classic matching game, line up three or more artifacts to remove the puzzle board and advance to the next level. 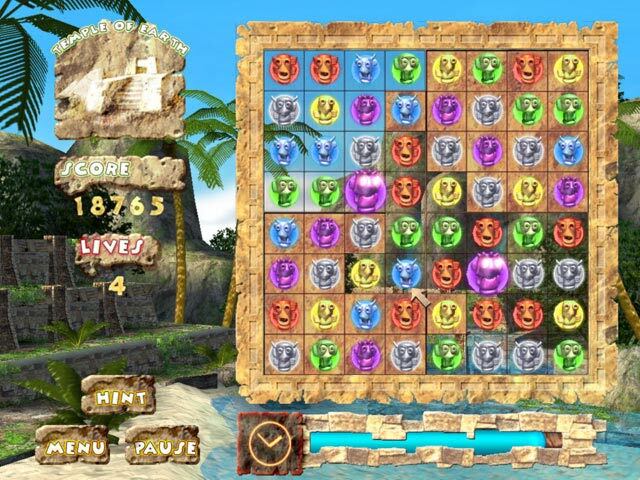 As you venture deeper into the jungle, you will encounter increasingly difficult puzzles containing secrets. Join the quest today! 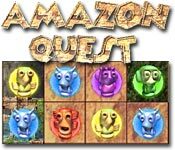 Amazon Quest is rated 1.0 out of 5 by 2. Rated 1 out of 5 by myyorkies1994 from Don't Waste Your Time! This has to be one of the worst match 3 games of current time! The first clue of how bad this game is going to be comes from the opening menus, where you add your name and adjust your volumes-try it, you'll agree. It does not support 'drag and drop technology' so you have to click on the tile you want to move and then click on the tile where you want to place it - a big waste of time. The dropping tiles come down so slowly it's actually boring, and you can't make another move until all tiles settle into place. I had made only 2 moves when there were no more moves available on the board and it had to shuffle itself. How lame is that? The only saving grace this game may have, if you don't mute your volume, is that the music comes close to what you would expect with the title theme. A disappointment! Rated 1 out of 5 by shaver from Not Fun The images on the tiles were boring and didn't vary. I had a difficult time finding matches and felt frustrated. I ran out of time in the relaxed mode (?!). I really love Match 3 games but this was a definite downer. When it said "Game Over" I really didn't care and uninstalled it before my hour of free play was up.